Welcome to Jacqueline’s Property Services, the Isle of Bute’s leading self-catering holiday company, offering the finest selection of holiday homes in one of the most beautiful locations in Scotland. Here you will find your perfect holiday home on the beautiful Isle of Bute, each of them with their own individual ambience, and all carefully chosen to offer you a relaxing holiday. Whether you want a long holiday or short break, there is no better place to visit than the Isle of Bute, with its beautiful wildlife and fantastic scenery. The Isle of Bute has recently been named by National Geographic as one of the top 10 adventure trips in the world alongside Rio De Janerio in Brazil and the Rain Forest in Costa Rica. To read more visit http://travel.nationalgeographic.com/travel/photos-top-10-adventure-trips/#/isle-bute-adventure_86053_600x450.jpg. The island also offers several yearly events to suit everyone such as its own 3 day music festival: Butefest, the annual Highland Games every August, agricultural show, plus many more events all year round. 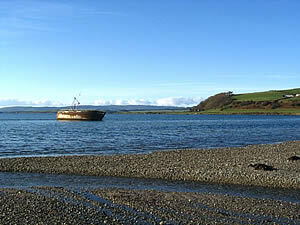 There is also plenty to do and see on Bute. Keen walkers and hikers are invited to take on the West Island Way. Bird watchers and nature enthusiasts won’t be left disappointed with the array of wildlife on the island from our resident Osprey to otters. Travelling without a car? Why not explore the island by the City Sightseeing bus tour (summer months only) or by booking onto one of the walking tours hosted by WildBute.com? Visiting Mount Stuart is a must and visitors can easily spend an entire day exploring this magnificent house and gardens. There are 3 golf courses on the island all of which welcome visitors. Other island activities include horse riding, sailing, kayaking, fishing plus much more. Other visitor attractions include Rothesay Castle, the Bute Museum, St. Blanes chapel ruins, and standing stones. Please use the search facility on the menu bar to browse our selection of properties available for this season. For pricing and booking information, please call us on 01700 503906 or email us at holidays@jpsbute.com.